This entry was posted on December 30, 2018 at 10:58 AM and is filed under the ugly. You can follow any responses to this entry through the RSS 2.0 feed. You can leave a response, or trackback from your own site. Posted it wrongly in another thread. 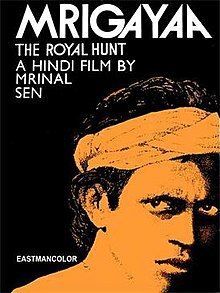 Not many are aware that Mithun Chakravorty’s debut film was with Mrinal Sen – Mrigayaa and Mithun ended up winning the National Award for Best Actor!! Even the movie got Best film award. Imagine any actor getting National Award for Best actor in debut film. People think Mithun as full on commercial actor but forget his iconic debut! The 1982 production marked a shift in the prolific Bengali director’s career. December 29, 1981. A cold wave grips Calcutta. The Sen family wakes up to find the kitchen door locked from inside. As the door remains closed, the casual air slowly gives way to rising tension, and then full-blown panic. When, with the help of the landlord’s son, the door is forced upon, the dead body of their domestic help, Palan, a minor, is discovered. Was it the apathy of the Sens (note the surname), Anjan and Mamata, the youngish, middle-class working couple with a pampered child not much older than the dead boy, who could have easily proffered Palan one of their mattresses and the warmth of the living room instead of letting him languish in the refuge area under the ground-floor staircase? Or was it the carelessness, and tight-fistedness, of the landlord who had not kept the provision for even a single ventilator in the kitchen?